Most of you probably remember Coca-Cola’s brief foray into changing the formula of the popular soft drink. It was called “New Coke” and it was an attempt by Coca-Cola to gain market share among a key demographic, youth, an age group that was favoring Pepsi. It backfired. Although “New Coke” showed promise in many parts of the country, it was soundly rejected in the South, where Coca-Cola us based (Atlanta). The strong Southern rejection spread. Comedians mocked Coke, fans at a Houston Astros baseball game booed a Coke advertisement. Within three months, Coca-Cola announced the return of the original formula, in a product called “Coke Classic.” Loyal Coke fans rejoiced. On the Senate floor, Arkansas Democrat David Pryor called the decision by Coca-Cola “a meaningful moment in U. S. history.” I’m not sure what that says about our country; perhaps it says more about the gentleman from Arkansas. Nonetheless, America as a whole must have agreed because the brief “New Coke” fiasco and it’s merciful conclusion thrust the Coca-Cola company into a period of renewed success as king of the soft drink world, a success that has been uninterrupted even to this day. Formerly known as the International Bible Society, Biblica is the worldwide publisher and copyright holder of the New International Version of the Bible. A self-governing group of Bible scholars, known as the Committee on Bible Translation (CBT) is responsible for the content of the NIV. Originally published back in 1978, the NIV went through an update in 1984, which was followed by a couple of decades of remarkable popularity among English Bibles, even supplanting the venerable King James Version (KJV) as the best-selling English Bible. In 2009 Biblica announced that they would be releasing an update again in 2011, not coincidentally on the 400th anniversary of the KJV. The “new” NIV was indeed released in March of 2011. 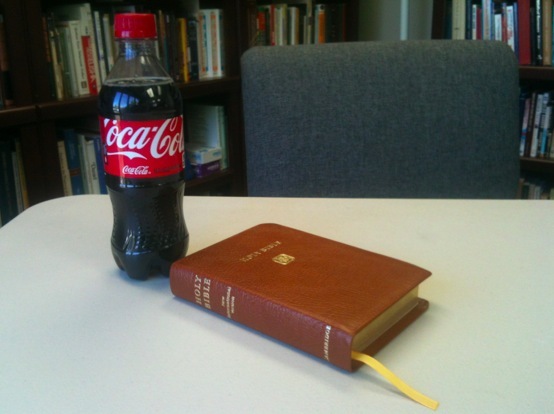 I believe there are intriguing parallels to be considered between “New Coke” and the new 2011 NIV translation. With “New Coke” casual drinkers of colas probably didn’t notice much difference and probably didn’t care. In the same way, casual readers of the Bible probably haven’t even noticed the massive change between the 1984 edition of the NIV and the new 2011 edition. The word massive is not an overstatement. While some Bible translation “updates” are relatively minor, the updates to the 2011 NIV are anything but minor. It is almost like a new translation. According to Robert Slowley’s research, only 61.1% of the verses in the 2011 edition are the same as the 1984 edition. That’s a lot of changes, most notably seen in the embracing of an entirely new approach to translating gender language. Sadly, I’m afraid that the average layperson is not even aware of these changes. When the “New Coke” hit the shelves a sizable number of die-hard Coke drinkers revolted and, as referenced above, Coca-Cola acquiesced and put the original formula back into production. The “classic” version was a success. For a fairly long period of time “New Coke” and “Coke Classic” were both available on the shelves. Unfortunately, such a massive revolt has not occurred with the “New NIV.” In fact, the NIV continues it’s run of success, in spite of the major change. I say this is unfortunate because I believe the 1984 NIV, with all its faults, is still much to be preferred over the 2011 NIV. And I am not alone. Even though the success of the NIV continues, there are signs that the NIV’s overwhelming dominance is waning. According to the Christian Booksellers Association, the New Living Translation (NLT) outsold the NIV in total numbers of units sold last month (the NIV has regained the #1 spot this month). A simple google or bing search of “ESV” “NIV” and “switch” will yield plenty of evidence that numerous pastors and churches have switched from the NIV to the ESV, at varying degrees because of frustrations with the 2011 NIV. But some folks are not eager to make a switch…to the new NIV, the ESV, or any other translation. They have read the 1984 NIV for years. They have taught from the 1984 NIV for years. They have memorized numerous Scriptures from the 1984 NIV. And although there are some 1984 editions still available on bookstore shelves, there is a day coming in which they will be gone. The 1984 NIV is completely out of print. At least these die hard NIV fans could still access the 1984 NIV text via their computer, tablet, and smart phones. Popular websites and applications like Bible Gateway and YouVersion continued to offer both the 1984 edition and the 2011 editions of the NIV. Until now. According to a recent World Magazine editorial, Biblica asked these popular Bible sites to pull the ’84 version from their offerings. Pardon my descent into the common vernacular, but that ticks me off. There is NO valid reason for Biblica to seek the removal of the digital editions of the 1984 NIV. Thankfully, I did not purchase the latest update for my Logos Bible Software. Had I done so, I would have lost the 1984 NIV, a translation which is always a major part of my weekly research. ** 8/1/13 – I stand corrected. Owners of the ’84 NIV on Logos Software are reporting that after the upgrade they are still able to access the ’84 NIV. That’s good news! Under “Core Ministry Strategies” on their “About Us” page, Biblica states, “Biblica offers programs and resources to churches and ministries to engage people more deeply in Scripture for life application and transformation.” For me, as a pastor, engaging more deeply means access to multiple translations, especially ones which are carried by many of my church members. The second most carried Bible into my church each Sunday is the NIV, specifically the 1984 edition. Biblica also states, “We understand, of course, that there are other translations for churches and individuals to choose from, and we welcome them. We live in a generation that is privileged to have access to some very fine and scholarly Bible translations. Our main concern is that people should be reading the Bible, not that they should be reading a particular Bible translation.” Apparently they welcome other translations of the Bible, just not a previous edition of their own translation. I honestly have no idea why Biblica wants the old NIV to completely disappear. I understand not wanting to devote resources to the continued production and binding of traditional paper, ink, and leather Bibles with the 1984 text. But it is no problem to Biblica for Logos, Bible Gateway, YouVersion and other digitally-based resources to continue to offer the 1984 text. Are they afraid people are going to compare the new to the old and criticize the new? Are they ashamed of the old? What gives? Coca-Cola did the right thing. They gave people what they wanted. For several years both New Coke and Coke Classic were available on the shelves. Coke Classic eventually outsold New Coke to the point that the continued production of New Coke was impractical. I have never met a single person who is upset over the demise of New Coke. I basically grew up (from 8 yrs. old to 20 yrs. old) on the NIV, the original and then the 1984 edition. In college I heard that the New American Standard Bible (NASB) was more a more literal translation, so I switched. About ten years ago I switched to the English Standard Version (ESV). And how I read the KJV and preach from the NKJV. So there is a sense in which I really don’t have a dog in this fight. But I sympathize for the many Christians who have used the 1984 NIV for decades now and have no desire to switch. I’m guessing this is a fairly large group. In a few years, their 1984 edition Bibles are going to be wearing out (especially if they are bound in bonded leather). They are going to go buy and new NIV, and, unaware of the change, they are going to be scratching their heads and wondering why the wording is different. They will be wishing they had kept their old NIV and gotten it rebound. It’s time for Biblica to reissue the 1984 NIV as “NIV Classic.” I guarantee it would sell well. If they are unwilling to do this, they should be willing to give away or sell the 1984 text to a publisher who would like to put it back into print. The World Council of Churches was generous enough with the RSV to grant or sell the rights to the 1971 update of the RSV to Crossway, resulting in the ESV. At minimum they should return to allowing Bible Gateway, YouVersion, Logos, and others to offer the 1984 version digitally. The new NIV might taste good to a lot of people. But for the sake of those who love the taste of the 1984 NIV, Biblica needs to bring back the classic NIV. Thanks for this. I guess we’ll have to go to mexico for our coke made with sugar instead of cane syrup and for our 1984 niv. Durable has a 1984 NIV, but reads the ESV mostly. I completely agree with Pastor Brett on this one…in fact, I agree so much that not long after the NNIV came out I switched to the NASB which I have liked very much thus far. It’s a shame that modern cultural preferences influence some “translators” to alter the text of the scriptures. It’s not altered because of words falling out of usage. Rather it is altered because some words are deemed offensive. Is an inoffensive Christianity a true Christianity. I saw a recent Toyota commercial that used the word “mankind.” Some Christians are falling over backward to avoid that word, for fear of offending. Toyota doesn’t seem to think it will cause them to lose customers. In South Korea, the 1984 NIV is by far the predominant text used by English ministries. As a result, I’ve continued to preach from it and use it in Bible studies (though I prefer other versions). I wanted to at least download that version on my Kindle, but discovered it’s not available there. 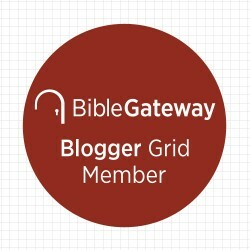 Thanks for letting us know that Biblica now won’t even allow Bible Gateway and other sites to have it. I recently concluded that the HCSB is the most suitable successor to the 1984 NIV, and hope its updated text will catch on more in the future. I’ve been an ESV user since 2005. It has easily been my favorite English translation with the NASB second. I once used the NIV a good bit but more and more I have avoided it out of my desire for an essentially literal text. Seeking Disciple, Sounds like you have fallen hook, line, and sinker for Crossway’s marketing terminology: “essentially literal.” 🙂 Not that that’s a bad thing…I, too, have been using the ESV for several years now as my primary English translation. Thanks for your input! Thank you for your suggestion. Our grandparents were so better off with one or two complementing bilble translations , yet still did a mighty work for God in Christ. We have become consumers rather than discples. Prentiss, I agree…we have become consumers. It is the bane of American Christianity. That said, I haven’t given too much thought about if we are overloaded with options. Interesting to conside. Thanks for your comment! Just a correction. I have upgraded from Logos 4 to Logos 5 and now Logos 5.1. I still have the 1984 NIV along with the 2011. Logos has a firm commitment that once you own a resource you will aways have access to it. Minor point, Brett, but with Logos, you never lose anything you’ve already bought, even if it can no longer be sold by Logos. That is the stated policy of Logos. This is in fact the case with the 1984 NIV, which I had on Logos 4 and still have on Logos 5. In the last month I bought a NIV 1984 “Hebrew-Greek Key Word Study Bible” and just shipped it off to be professionally rebound. The reason I’m rebinding a brand new bible is because I know I likely won’t be able to replace it in the future, so I am making it as sturdy as possible for longevity. I mourn the lack of availability for the translation I grew up with. I wore out an NIV Student bible as a teen and went through a couple of NIV Study Bibles as a young adult. I’ve made the jump to the ESV for study primarily and the NLT devotionally, but I still love the old NIV. Side note … it is my conviction that the glut of translations and “updates” has destroyed the discipline of scripture memory in the modern church. I agree that scripture memory has been challenged and stalled because of different translations. Also, Joel Lanier, if you don’t mind me asking, where did you ship your Bible to get rebound, and were you pleased with the work? I have a couple of NIV (both the 1984 version) that I need to get rebound and would be willing to ship them. And Brett, if you happen to see this although it’s been so many years since this thread has been active, would you comment on the inception of the of the CSB edition, as well as how you use different translations during study/devotional life. 1. My primary everyday Bible is a King James Version (Windsor Text by Trinitarian Bible Society rebound in black goatskin by Diego Caloco). Old Testament – NIV (1984). I use a single column text by Cambridge University bound in black calfskin leather. This Bible is no longer in production. I have a copy at home and at my office, but the one at my office is bound in black goatskin leather. Interestingly enough, I spent most of this year reading the OT in the NLT, but the print in my NLT Bible (a beautiful black goatskin Cambridge Pitt Minion edition) is so small to my aging eyes so I switched to the Cambridge NIV. New Testament – the aforementioned Windsor KJV. 3. I preach from the NKJV. My preaching Bible is a NKJV Holman text block bound in brown goatskin leather by R. L. Allan. 4. When preparing sermons, I work from Logos Bible software and, therefore, easily have access to several different translations which I can compare. I’ve had several rebinds done by them and have always been pleased. Carrie, I agree with Joel that Leonard’s is outstanding. I have used Leonard’s (Lacey’s ESV rebind) and Caloca (two of my KJVs were rebound). My uncle also used Leonard’s and was happy with the outcome. My everyday Bible is a KJV I had rebound by Caloca, and it is phenomenal. I’ve also listed several others that rebind Bibles and have good reviews among those who follow these things. Joel, Sorry for the WAY overdue response to this comment, but I absolutely LOVE your observation about how the glut of translations has resulted in the near destruction of Bible memorization of Scripture in today’s church. Very perceptive and, I lament, very true. Just like Coke, this appears to be a commercial decision. They have gone to significant lengths to force people to move – for example, documented cases of people with NIV84 on their Kindles, and amazon remotely removed and replaced with 2011 at publishers request, and removal from almost all Bible software. What are the ramifications of this? From a bad (for everyone else), we lose the old version, but more importantly, pastors and teachers have to stop using it basically – as their congregations simply can’t access the old text anymore, so they also have to update, which means lots of other people also update, generating further revenue. Call me a skeptic, but even though they claim that the 2011 NIV is just more accurate based on source texts being the reason, they stand to significantly profit as people are ‘softly’ forced to ‘upgrade’. Reason or cause? I can’t judge. Unfortunately, the analogy with New Coke breaks down in that The Coke company wasn’t particularly “tied” to the New Coke formula. Once they realized that the old formula sold better than the new, they had no problems in switching back. The folks at Biblica, on the other hand, believe strongly that the “outdated” language of the ’84 NIV needed to be changed. The fact that they asked the online resources to remove the ’84 NIV and only use the new translation speaks to the strength of this belief. I think that it is highly unlikely that they will ever again publish the ’84 NIV or release the manuscript to another publisher. Doing so would steal sales away from the new corrected version. Given all of that, I decided to make the switch to the ESV translation about a year ago. Thanks, Ted, for the comment. Unfortunately, I think you are probably right. But it doesn’t hurt to dream! I’m pretty much “Pure Cambridge Edition Authorized King James Bible-Only”, except for Psalms 119 which I started memorizing in the 1984 NIV for some reason. That’s funny, because in High School my two favorite Bibles were a 1978 NIV and a Scofield KJV. Thanks for sharing, James. I’m KJV-preferred, not KJV only. It is fascinating that you chose to memorize in the NIV because my experience is that memorizing from the KJV is easier… the unusual language and cadence is “stickier” to your brain. How is the memorization going? The primary Bible version I use for public preaching and teaching is the New King James Version (NKJV). If you want a tried and true translation, and if you can handle older English, then you can't go wrong with the King James Version (KJV), which is my preferred personal reading translation.